The 2014 annual NY2LA Sports Spring Extravaganza tips off this weekend in Minneapolis, MN. Some of the top travel programs from around the Midwest will be on hand vying for the title in the 14U, 15U, 16U, and 17U divisions. Friday also marks the beginning of the spring evaluation period as many of the nation’s top NCAA programs will be in attendance as well. Fresh off a strong showing at the Team Duke Shootout last weekend where they were the runners up in the 17U division, Wisconsin Academy, with prospects like JT Ruffin, Shareef Smith and Will Kellerman on the floor, takes on the Minnesota Comets in the first game of the night. Without one true star, Wisconsin Academy relies on quickness and a relentless defensive effort to rattle their opponent. The Comets will try and slow down Wisconsin Academy with their imposing front line of Cole Murray, John Rumpza, Kyle Sorenson, and Nate Lorenz. An interesting matchup takes place between Net Gain Sports and the Wisconsin Blizzard that features 2015 Shooting Guard J.T. Gibson up against 2015 Forward Cody Schwartz. Both players are looking to build off an excellent end to last year’s circuit. Other prospects that square off in this matchup are the likes of Kyle McKinley, Reed Nikko, John Warren and Sid Tomes for Net Gain, and prep standouts like Kyle Monroe, Connor Konshak, Mason Domask and Adam Pronschinske for WI Blizzard. An intriguing matchup in the post takes place when the Spartans and Team NLP face off Friday night. The Spartans feature 6-foot-10 center Matt Heldt, who will have his hands full with the powerful and versatile Evan Boudreaux of Team NLP. It should be a frenetic pace as both teams feature skilled up and down guards that love to push the tempo. The Playground Warriors, featuring their 1-2 punch of Brevin Pritzl and Nick McGlynn get a stiff test against Christian Williams, Obediah Church and the Illinois Irish. The Warriors are coming off a 17U championship at the Team Duke Shootout last weekend. Also beware of other standout prospects in this game that could have an impact like Romeo Bouie and Trevor Entwisle for the WI Playground Warriors and Bryan Miller for the Irish. In a battle between two title contenders, Wisconsin United and the Illinois Stars meet in the nightcap. Both teams feature strong dynamic duos as the Stars will put future Big Ten players Aaron Jordan (Illinois) and Brandon Hutton (Iowa) on the floor against United’s high upside forwards Levi Bradley and Jaylen Key. Stars’ big man Tyler Jackson and electric guard Karl Harris will look to be factors in this contest as well, while guards Marshawn Wilson, Jeremy Johnson, Donnell Gresham and Jevon Smith have been productive thus far for United. Athletic guard James Batemon, sharpshooter Jake Jurss, and DTA open up with Quad City Elite, featuring the high scoring guard duo of Tyler Hall and Grant Gibson. The scoreboard could be running high in this one as both teams know how to put up the points. DTA boasts a couple tough 2014 prospects in Marcus White and Chris Howell out of Milwaukee as well as emerging prospects like Jerome Cummings, Brandon Eckford and Darrell Riley. 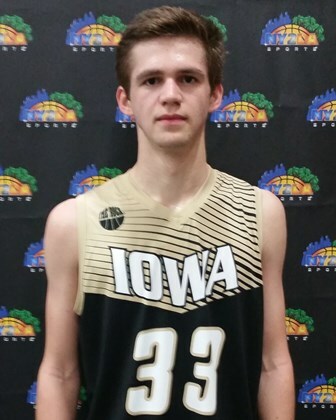 There will be plenty of division one talent on the floor when Wisconsin Academy and the Iowa Barnstormers take the floor. Academy has a strong starting five led by the likes of Trevor Anderson, Cole Schmitz, Jack Popp, and Sam Hauser who can all score the basketball at a high rate. The Barnstormers will counter with Wali Parks, Alonzo Cole, Tanner Lohaus, and Sage Maiers. High flying Treante Mason, along with talented off-guard Corian Davis and others, leads DTA into a tough battle against ECI Prospects featuring the strong front court of Connor Entzi, Braedan Hanson, and Dustin Weeks. Talented freshman Andrew Lewis leads a strong Ray Allen Select team against the sharpshooting combo-guard Jorden Thornton and Team NLP. When healthy small forward Taurus Adams can also be a factor for RAS, so look for this to be a good battle of young emerging talent. 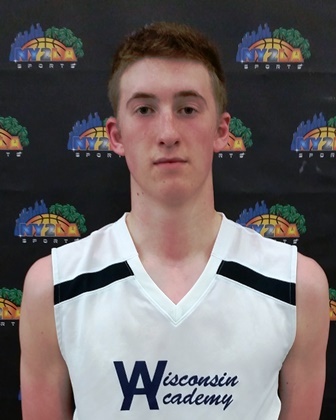 The trio of Maxwell Keefe, Davis Larson, and Lucas Wendt lead the Wisconsin Swing against one of the tournament favorites in Quad City Elite, who feature a strong trio in their own right of Noah McCarty, Donovan Oliver, Isaiah Roby. Other prospects to keep an eye on that could be impactful in this game are Austin DeNoyer and Jordan Janssen and company for the Swing and shooting guard Tyler Houston for Quad City. The strong guard tandem of Virshon Cotton and Simeon Davis of Wisconsin United will clash against the Illinois Irish and imposing big man Joah Robinett. United’s front court combination of Joevon Walker and 2018 big man Javonni Bickham will also be putting up their best looks working the interior. The Spartans feature one of the more under the radar players in the tournament Te’Jon Lucas, a quick scoring point guard. They’ll meet Kingdom Hoops, led by lead guard Taylen Alexander and forward Chancellor House on opening night in what could be a great test early on for both squads. Coming off a strong performance in the Team Duke Shootout, Keishon Parker, Brian Wilman, Sean Miller and the Shooters take the floor against the always challenging Yanders Law squad from Missouri with forward Tate Smith and company.